The presentation is the bridge between Stanford Anderson’s “Architecture Design as a System of Research Programs” and Fredric Jameson’s “Architecture and the Critique of Ideology”. Rather than regurgitate what has already been said, the presentation finds an implied common ground to further explore the implications of each writing as it related to ideological and utopian views of architecture. 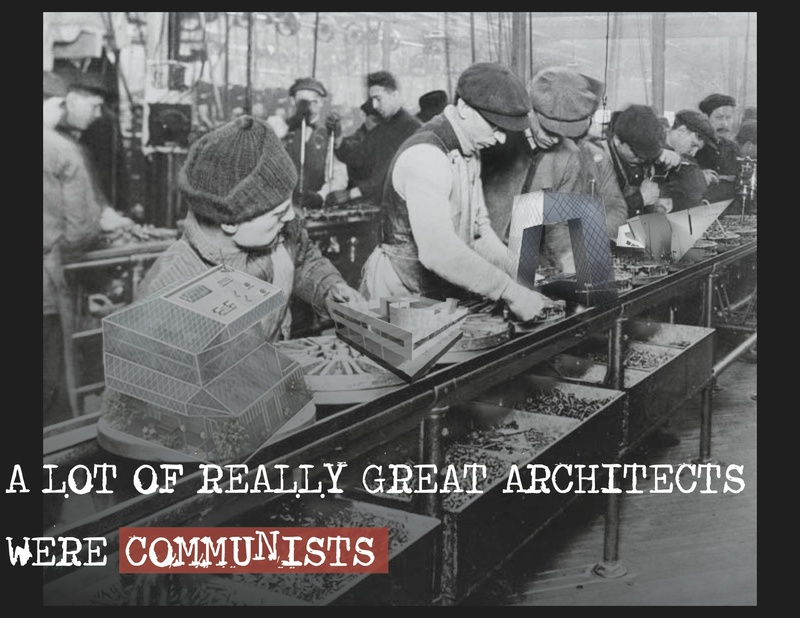 Using capitalism and communism as a point of departure the presentation showed the fundamental differences between these two ways of thinking about futures in architecture. The distinction between Ideology and Utopia is an important one, and sets the stage for the remainder of the presentation. 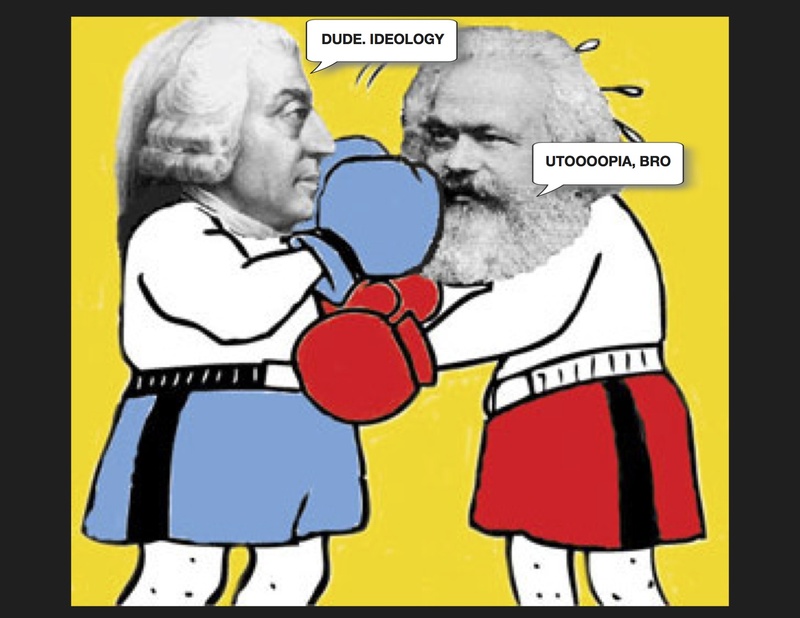 For the sake of understanding these two readings, Ideology should be defined as an approach that tries to stabilize the dominant features of present society. This is of course fundamentally different than Utopia, which seeks to radically change or define the future. The first Utopian society that comes to mind is of course, Thomas More’s famous literary island. 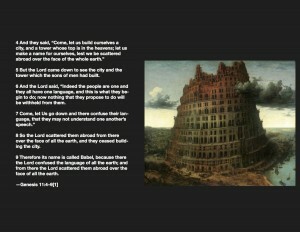 However, the idea of Utopia has a rich cinematic and physical history. The first color movie ever, The Wizard of Oz is an allegory of the “everyman” in this case portrayed by Dorothy, and her attempt to reach Utopia, or the Emerald city. Most notably, the idea of utopia can be traced back to the first book of the bible, and the tower of babel. Eventually, the modernists grabbed on to future space making and utopian ideals, seeking to better the world through large scale urban developments. Corbusier and Frank Lloyd Wright dedicated much of their lives attempting to imagine what a utopian architecture could look like. Thankfully in the end, only a few of the modernist mega-forms were constructed, and even those had fairly disastrous consequences. While Utopian ideals are clearly interested in future conditions, Ideological ideals are much more concerned with the stabilization of present conditions. One could say that this becomes the line of demarcation between the modernists and post-modernists. Corbusier is one of the only modernists to bridge the gap between these two very different methods of thinking. Through falsification and an appraoch akin to the scientific method, he developed his “hard-core”, or the ideological principles by which he would create future spaces. Corb develops his 5 points of architecture, which then become the base for all of his work. Rem Koolhaas is perhaps the most outwardly vocal about his vision of an ever intensifying urban present, a uniquely postmodernist ideology. The philosopher, Francis Fukuyama would agree with Rem’s ideals, effectively claiming an end to history and the potential of Utopia, as liberal democracy an free-market capitalism slowly spread to every corner of the Earth. The implications for the future of architecture are dubious. 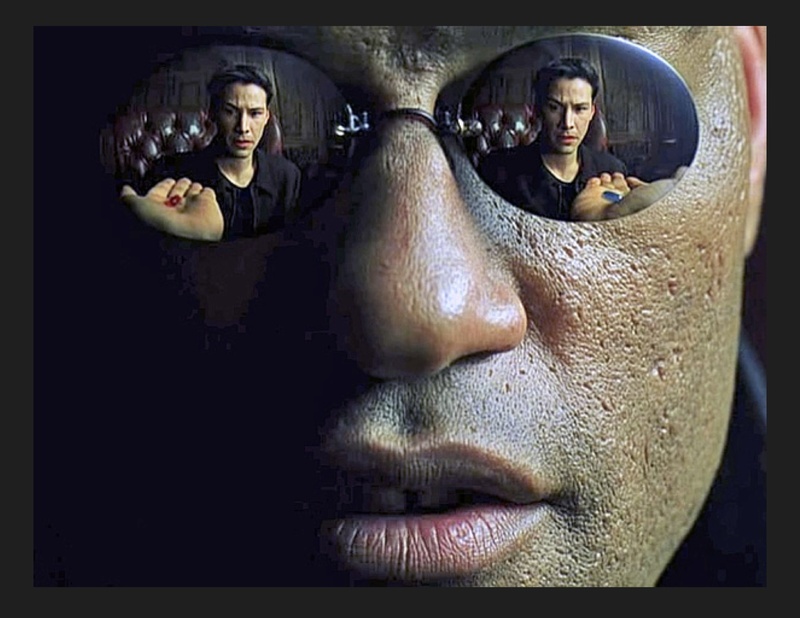 The authors would have us believe that we must choose between the red pill or the blue pill, between Utopia or Ideology. However, like Corbusier it is our responsibility to consider and even embrace both ideals. Architecture straddles a very unique reality, which is at once the most basic human need, shelter and the primitive hut, and at the same time the highest form of art, reserved only for the most socially advanced society’s.